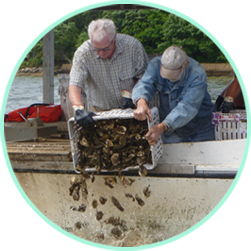 The Severn River Association is a membership organization that adapts its work to meet the changing needs of society and the river. With your support, we will continue to do so into the next century. 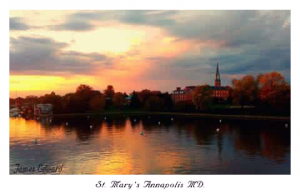 In April 1911, thirty-two residents with property along the shores of the Severn River came together to form the Severn River Association (SRA). Their original purpose was to protect and promote fish and game, and to develop reasonable means of public access to the river. Today, the SRA is the oldest organization in the country dedicated to the preservation of a river, and one of the largest civic groups in Anne Arundel County with over seventy communities represented. Over the years, the concerns of the SRA have changed as the threats to the river and its tributaries have changed. At first, it was pollution from septic systems and farm runoff. Then it was commercial and residential development, loss of forests, erosion and stormwater runoff. Interest spread to issues affecting the quality of life for all living in the Severn River watershed, such as highway and passenger rail development, bridge planning and in 1939, the rampant commercialization of Ritchie Highway. During World War II, the Severn River Association opposed the US Navy’s plan to expand the Academy and acquire St. John’s College. The SRA has supported the State in protecting the 1300 acres of the Severn River headwaters and acquiring the designation of “Scenic River”. In 1972, the SRA began encouraging citizen activism as it initiated its Watchdog Program, designed to quicken the response of authorities to incidents of river pollution. In 1975, the group began Operation Clearwater, a summer program of weekly water quality testing to assist member communities in monitoring their swimming beaches. In 1984, Anne Arundel County Inspections and Permits personnel were replaced after repeated reports of sediment control violations. As a result of a 1984 initiative, the Severn River Commission was created in 1985, and the SRA supported the creation of the Severn River Land Trust in 1989. The list of projects is lengthy and includes: review of zoning change applications, shore improvement and wetland creation efforts, action to support the Chesapeake Bay Agreement, support for Critical Areas Criteria and continuing testimony at all levels of government in support of well-crafted legislation to heal and preserve the environment surrounding the Severn River. Each month, SRA holds its Educational Series with a guest speaker to offer updates on river activities and concerns. The meetings are held at 7:00 pm on the 3rd Tuesday of each month, at Union Jacks Pub in Parole, MD. The meetings are free and open to the public. SRA has many activities and is always on the lookout for new people with talents of nearly any kind. It has activities including outings that put members in close touch with the river and watershed we love, legislative and regulatory action to improve protection for the Severn River watershed, cleanup and restoration projects and more. Now’s a great time to join the SRA Team! Click here to join Severn River Association.